Ugh. 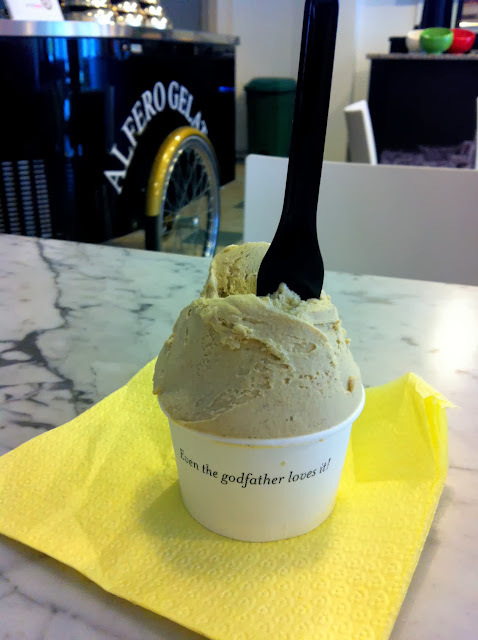 Terrible craving for gelato that must be satisfied tmr! My favourite is pistachio (hazelnut comes in a close second). This qualifies as the kind of thing I can eat again and again. Nothing adventurous or pretentious. Just intense nutty flavours- the goodness of hundreds of pistachios distilled into gelato. I don’t think I can find anywhere else in SG that nails that dense, smooth texture. So glad there are no gritty things mixed into it because that would be such a waste of well-made gelato.